This is both a fun and sad film. 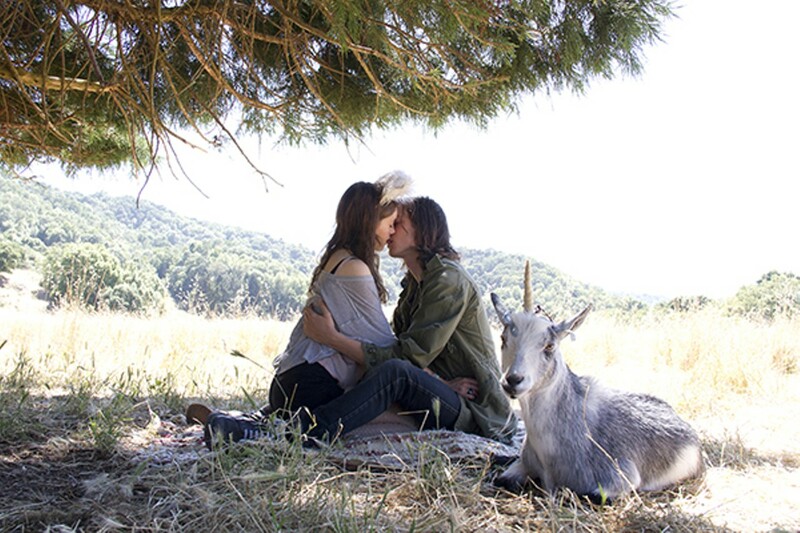 There are moments when it is just magical, as a film that has unicorn in its title should be. But it is also playful and burdensome. The story is about a young girl with a big imagination who is stuck in a tight place, taking care of her disabled mom. The film, and the main character's mind, go between these magical scenes. The concept is also a classic on-the-road movie with some new textures and concepts. Director Leah Meyerhoff is truly talented, and takes what is at times a charming film into some uncomfortable places. Source Weekly: You have been touring the film since SXSW. 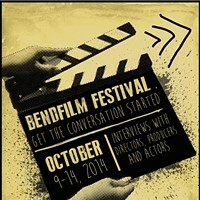 What is it that you enjoy about the film festival circuit? Leah Meerhoof: What I enjoy most about traveling the film festival circuit has been connecting directly with audience members. Often filmmaking can be a somewhat lonely pursuit, a disconnected art form in which you pour your heart and soul into a project only to release it into the ether and move onto the next. Film festivals allow a brief window in which the gap between creator and viewer is collapsed. One of the reasons I made this film (and became a filmmaker in the first place) was to tell stories with complex female characters, the kinds of films I wanted to see when I was a teenage girl. Some of the most poignant moments have been when young audience members approach me after a screening to say how much my film meant to them, or that they saw some part of themselves reflected on screen. It is those sorts of emotional connections that make all of this worthwhile. SW: Apparently one of the animators lives in Portland. Josh Mahan. How did you connect with him? LM: Another thing I love about film festivals is meeting other filmmakers! I met Josh years ago when we both had short films at a festival in Los Angeles. His style of animation stuck with me and when it came time to look for collaborators on I Believe in Unicorns; he was one of the first people to come to mind. It is no easy task to combine live action with stop motion puppet animation (all shot on 16mm no less!) and Josh is one of those rare talents whose level of dedication is surpassed only by his creativity. We did all of our effects in-camera using analog techniques, one frame of film at a time. Josh is currently in production on a stop-motion sci-fi short called Capsule. Check it out! SW: I Believe in Unicorns is an ambitious film, in terms of mixing the fanciful with the serious. Given what the title and the animation can promise, have audiences been surprised how serious the film is? I Believe in Unicorns - Teaser from Unicorns on Vimeo. When four dysfunctional adults meet in a wine bar, the crew sets out for an unforgettable evening of debauchery. A twisted tale of the modern relationship, the standout of The Last Time You Had Fun is the hilariously relatable characters and witty dialogue. Written and directed by husband and wife team Hal Haberman and Mo Perkins, the pairing may contribute to some of the comical chemistry that sculpts the movie. Starring Kyle Bornheimer, Eliza Coupe, Mary Elizabeth Ellis and Demetri Martin, all vaguely recognizable and well cast, every scene in The Last Time You Had Fun is a bellyacher, an indie film packed with hilarity and honesty. Source Weekly: Where did the idea for The Last Time You Had Fun come from? Mo Perkins (director): I think as a culture there is a lot of discussion about what marriage is or isn't or should be, and part of me is responding to that. Here is this commitment made by two people, ideally grownups, and with it comes all of these nebulous expectations, happiness, fidelity, morality, social acceptability, children, no children, fulfilled sexuality. When those expectations fall short in reality they can be painful, but they can also be cathartically very funny. Because of those stakes and that potential for humor, marriage for me is the perfect lens with which to examine human relationships in general. SW: The film is hilarious. Are the events and characters inspired by real life? Who wrote the dialogue? MP: When my husband Hal Haberman and I decided to collaborate, with him writing and me directing, the first thing we talked about was what kind of film we wanted to make. Hal has written for other people and is a director in his own right, with several award-winning films. The one he's most known for, Special, with Michael Rapaport, really rode the line between darkness and a giddy transcendent humor. We both like a lot of different kinds of stories and watch a lot of films together. But in talking it became quickly apparent that what we really wanted to make together was something we weren't seeing as much of in recent independent American films, a grounded, scripted, comedy for grown-ups, which dealt honestly with character. I think there is a move in smaller budget indie films to explore character through these very pensive cinematic styles and it's beautiful, but for me I felt that I had done that several times already and therefore it was less interesting. I wanted to make a film in which you come to meet the characters as you do in real life, by listening to what they have to say. SW: What are your hopes for the film? What do you hope people take away after watching it? The Last Time You Had Fun Clip 1 from mo perkins on Vimeo. A well-timed release for Halloween, Love in the Time of Monsters has clearly studied its predecessors—enough to know the pratfall and pitfalls of good and bad horror films. Not entirely unlike the common plotline, a couple babes head to the woods (in this case, a remote lodge where their boyfriends work as Bigfoot performers, but have been turned into monsters by a toxic sludge), the film is a quality and fun-spirited horror film. Source Weekly: The production notes I was given said that one of the writers or directors grew up in Washington. Is this the inspiration for Bigfoot in the film? Matt Jackson (director): Fun fact, I was actually born in Oregon and lived in Albany for a little bit. I'm convinced because of that I've always been drawn to the Pacific Northwest. So for me, I think it was fated that my first feature would involve this part of the country. And if you're gonna do a monster movie based up here, its gotta be about Bigfoot. Mike Skvarla (writer): I grew up in the rural Atlantic Northeast, which has a similar woodsy climate to the Pacific Northwest, so I've always been a fan of forests and the creatures within. Bigfoot was a very familiar and sympathetic character to me, he was the reclusive loner that asked for nothing more than to live, undisturbed, in those majestic woods. Bigfoot is like my Spirit Animal. Andy Gunn (producer): I was the one who grew up in Washington; Snohomish, about 40 min northeast of Seattle. Definitely a lot of trees around, and the shoot in Northern California reminded me a lot of where I grew up. SW: Do you have a favorite scary movie? MJ: Evil Dead 2, but I always think of it as more "fun" than "scary." Its ability to draw you close with sincerity one minute and totally gross you out the next is my favorite thing about it. I was very very influenced by it and Sam Raimi in general while making Love in the Time of Monsters. MS: My all-time favorite scary movie is the 1963 classic, The Haunting, which was based on the book, "The Haunting of Hill House," by Shirley Jackson. My mother actually showed it to me when I was very young and it left an intense mark on me; the cinematic dread was most palpable, thanks to director Robert Wise (West Side Story, Star Trek: The Motion Picture), and an outstanding practical special-effects team. It's an amazing testament to the terrors you can subject your audience to by using their own imaginations against them. AG: Tremors was always a personal favorite of mine. My parents took me in the 6th grade to see it in the theater and it left quite a mark. As I look back, it's the combination of real characters in a crazy situation that made it so fantastic. We worked hard to get that into Love In The Time Of Monsters. SW: I understand that the lodge where part of the film was shot is haunted. True? The first time I noticed Blake Robbins was on the HBO original program "Oz," where he played Officer Dave Brass, a corrections guard pushed to do some truly horrific things. It is a really powerful performance and completely heartbreaking because Brass was a kind and fair guard who quickly becomes a violent ball of rage and poison. Aside from "Oz," Robbins turned up in "Firefly," "The Office," "The O.C. ", "24," "Sons of Anarchy" and dozens more classic shows and movies. His newest film, The Sublime and Beautiful, is something different for Robbins. He's the writer, director and lead actor and powerfully carries just about every frame of the film. It's a knockout performance that BendFilm Director Todd Looby has compared to Billy Bob Thornton's bravura turn in Sling Blade. I can't disagree at all. The film follows a college professor who suffers an extreme tragedy and has to face a disintegrating marriage, his developing need for retribution and the most profound loss possible. It is a spellbinding picture and Robbins fly-on-the-wall directorial style gives the film an immediacy that makes it impossible to shake. "It's a very personal film, and it had to be in order to be willed into existence. I have a personal relationship with grief and whenever I went to the movies to see a film with similar subject matter invariably I left disappointed," said Robbins. "So I turned years of watching from the vantage point of being an actor into a makeshift film school and decided to make my own. While most of the circumstances depicted in the film are fictional...a lot was drawn from personal experience or the experience of others." The fact that Robbins acted as writer/director/actor on the piece is staggering, as he is at the forefront of almost every shot. I asked him about the difficulty in wearing so many hats: "Well, the acting is what I've done for some 20 years and this process definitely made me a better actor....the writing was something that kind of poured out of me for the most part, years before we shot the film. I don't label myself as a writer, so I was never too precious about it, and I took all the great notes and thoughts my friends and collaborators gave me....the directing mostly was about identifying talent and doing everything I could to make everyone feel comfortable and inspired. I loved doing it and though it presented challenges every step of the way, I truly felt like I was discovering myself during the process." Sublime and Beautiful Trailer from Candy Factory Productions on Vimeo. The lead singer David is a card-counting blackjack player who worries too much, the bass player Phil is a recently fired music teacher who cares more about his band than his family and Sean the drummer is a boozing, apathetic hair dresser who serves as the closest thing to the band’s conscience. Meet Seattle rockers, Tennis Pro; a band who—according to a man who claims to be the former drummer for grunge rock founders Green River—could be big in Japan. Now, if they could just get people to come to their shows. Wallowing in mediocrity stateside, Tennis Pro decides that going to Tokyo with the sketchy, self-proclaimed, band promoting guru Alex Vincent—who yes, is actually that drummer from Green River—is their last chance to get an audience; things just aren’t happening for them in Seattle. The resulting trip is an exercise in fish-out-of-water naïveté and endearing child-like exploration of a foreign culture as directed by John Jeffcoat. The comedy is light and the experiences of the band members seem genuine; most likely due to the fact that they aren’t actors. In between scenes of the band playing its pop/punk rock at sweaty basement dives around Tokyo, are opportunities for each member to grow via solo examination of the city and themselves. As David, Phil and Sean tumble toward the kind of accomplishments they were hoping the trip would provide, Phil finally begins writing new material, David gains some confidence and Shawn realizes having it all might not be worth the cost of success. Trailer for Big in Japan on TrailerAddict.